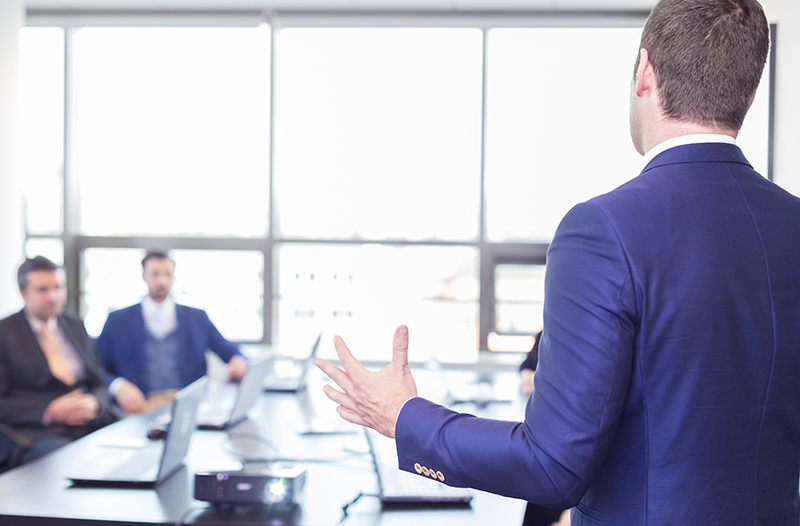 In this article we’ll introduce you to the different methods of using mind maps for client presentations and show you how you, too, can ditch those bland PowerPoint slides in favor of a simpler and more effective presentation format. Digital mind maps let you communicate and present information in a format that’s both engaging and easy to comprehend for your clients. All over the world and in all industries, consultants and advisors use mind mapping to deliver effective client presentations and provide their clients with an intuitive channel of communication that runs both ways. Invite clients via email or link to collaborate with you – it’s like Google Docs, only visual! You can prepare a complete map up front and present it to your client(s) like any other type of slideshow. You can bring a mind map template to the meeting and collaboratively fill it out with the client. You can start with a blank canvas and create the entire mind map right in front of your audience’s eyes. Preparing a whole map up front makes sense if you’re speaking in front of a bigger audience and don’t need or want anybody’s input while you deliver the presentation. It’s a great way to introduce yourself and your company, explain the consultancy services you offer, or present reports to your clients. 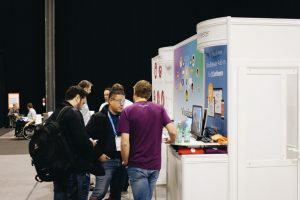 Preparing a whole map up front means you can invest as much time as you want in structuring it, filling it with information, adding good looking visuals and – if you want – using MindMeister’s presentation mode to zoom and pan to relevant areas of the map. 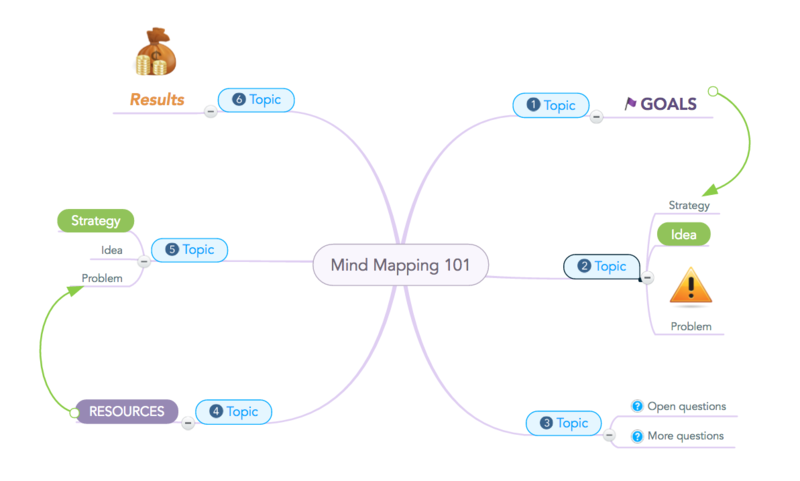 Start with a new, blank mind map in MindMeister and write the subject of your presentation in the center of the map. Create a new branch for each topic you will be covering in your presentation. Start at about 1 o’clock with the first topic, then keep going clockwise around the center. This is also how mind maps are generally read. Be sure to use keywords or short phrases for the topics in your map. 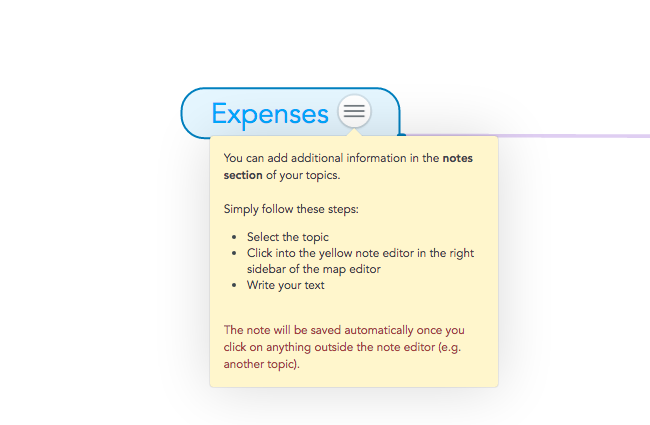 You can store additional information in the notes section of each topic. This way you can add lots of details without cluttering up the map. When the basic structure of your presentation is prepared, start adding sub-topics to each of the branches you’ve created. Again, try to stick to keywords whenever possible to preserve the great overview the mind map provides. You can also use images to add extra information to a topic and to make it more memorable. 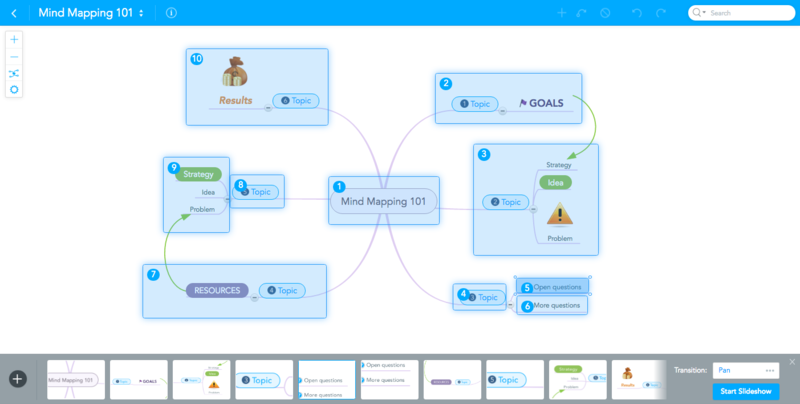 When your mind map is complete, you can present it right inside the mind map editor. If you don’t want to distract your audience with all the buttons and features, just press the CMD+ALT+F keys to switch to full-screen mode. You can use the + and – keys to manually zoom in and out of the map, and move around by clicking onto the canvas and moving the cursor. 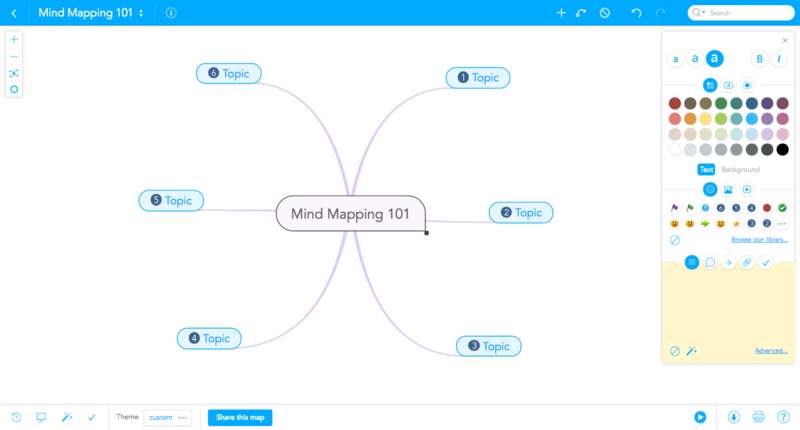 MindMeister’s presentation mode lets you turn your mind map into a dynamic slideshow, comparable to a PowerPoint presentation. 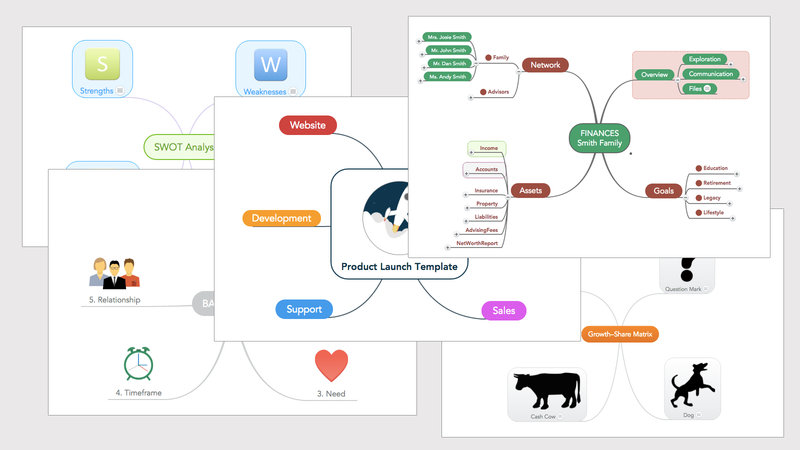 The big difference between a slideshow created in MindMeister and one created in PowerPoint is that you’re still able to show how individual topics are connected, as well as showing the entire mind map at key points during your presentation. 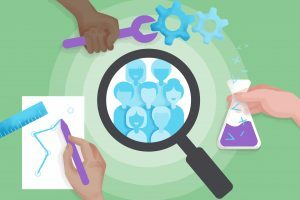 Seeing how everything is related to each other is essential in helping your audience comprehend and memorize the information more easily. 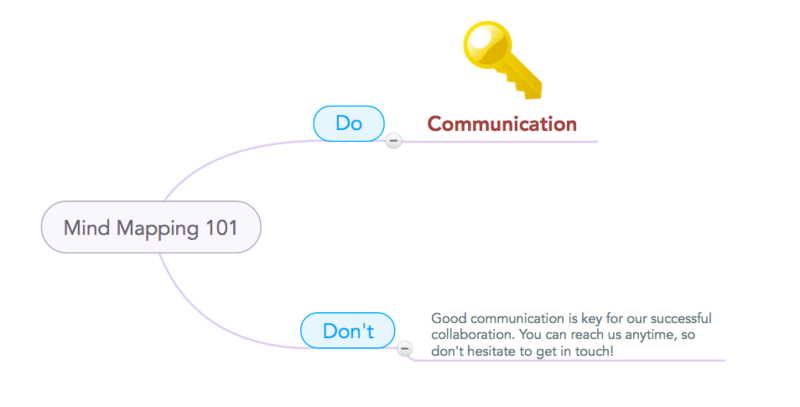 To enter MindMeister’s presentation mode, just click on the presentation icon in the footer of the map editor. To create slides, click-drag your cursor over the different areas of your map while keeping the CMD key (i.e. CTRL key) pressed. Then, right-click on individual slides in the footer to select a different transition. You can choose between pan, slow zoom, fast zoom and blur. If you need help creating your slideshow, have a look at our tutorial video in the MindMeister training program. 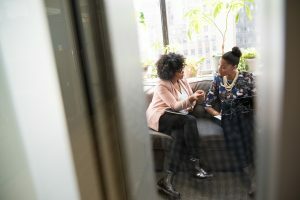 Bringing a template or partly finished mind map to a client meeting makes sense if you need to gather information from them in order to devise a concrete strategy. A template or partly finished map lets you involve the client actively in the information gathering process, while at the same time providing your meeting with structure, and ensuring that each piece of information comes up at the right time. When you’re dealing with rather complex issues and strategies (e.g. 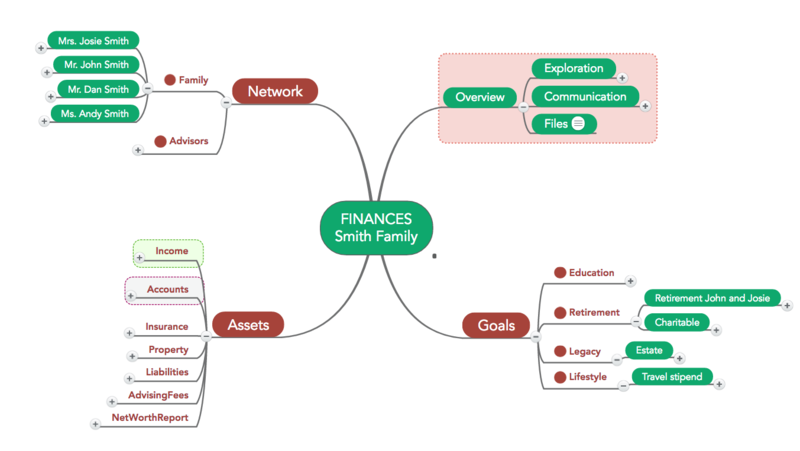 in the finance industry), mind maps allow you to deliver this information in a way your clients can consume very easily, especially when you create the map live in front of their eyes. So when you meet with a client to present your strategy to them, bring a map template or a mind map that is about 75% complete. Share the map with the client via email or link, and during the meeting work together to fill in the details. Tip: If you want the client to be able to access and view the map, but not edit it himself, you can give him ‘read only’ access in the sharing settings. Let the mind map guide you through your presentation. This automatically ensures that each piece of information comes up at the right time during the meeting. Tip: If you’re going to use the same set of templates for each new client, be sure to save those templates in a designated folder, either directly in MindMeister or on Google Drive for instance, where your whole team can easily access them. 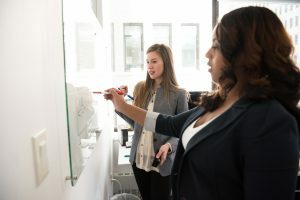 Use this method if you need to walk your audience through a complex strategy, making it clear how exactly key points are related. Use this method only if you’re well-prepared and are sure that you can (re)create the whole mind map from memory. This method is incredibly engaging and impressive. It helps your audiences follow your train of thought like no other method of presentation does. If you’re going to create an entire mind map from scratch in front of a live audience, the most important thing is proper preparation. If you want to be convincing, you simply can’t stop in the middle of the map to try and remember what that next branch was you wanted to create. To confidently recreate a mind map from memory, you should have created it multiple times before, both on your own and in front of a test audience. 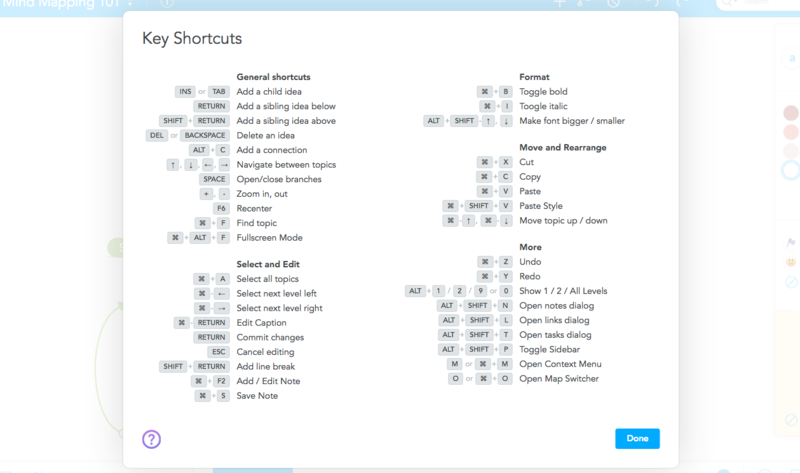 Tip: Memorize MindMeister’s most important key shortcuts. This way, you can go into fullscreen mode while creating the mind map, and even format topics (e.g. making them bold) without distracting your audience with the software’s features and buttons. So these are the three main ways to use mind maps for client presentations. 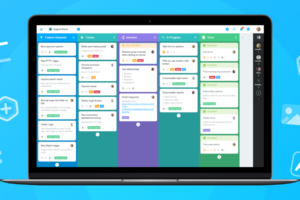 If you’ve used MindMeister with your clients, please share your experiences with us and let us know what your clients thought! Did you explore the uses of mind mapping for presentations or pitching? How did you find it? 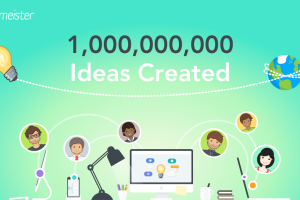 If you are a fan of mind maps and use them regularly, you could share them on Biggerplate.com, and discover plenty of other exciting ideas from the mind mapping community on Biggerplate!